Club Cart golf carts need the rear axle / rear end oil changed periodically. Here is how you do it. 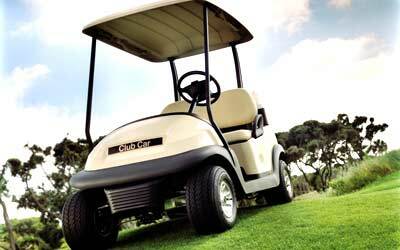 1: Take your golf cart out for a spin for about 15 minutes to warm up the oil for faster draining. 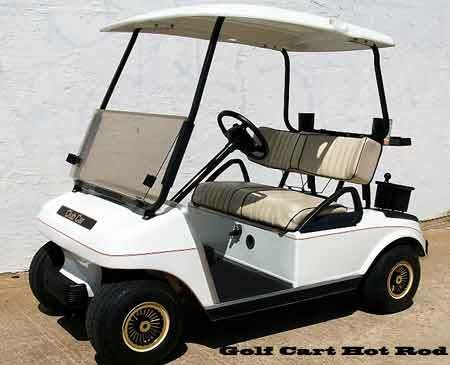 2: Park your golf cart on a level surface. Put an oil pan under the cart’s rearend. 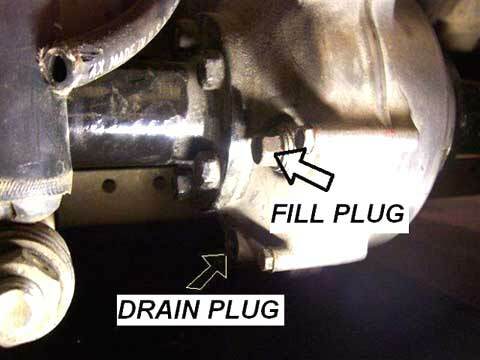 Ether use a 14mm socket or wrench to remove the rearend drain plug (see pic). You can use a jack on the opposite side to tilt the rearend up enough to make sure you get all the oil drained. If you have a pump with hose you can get even more oil out. 3: After draining the oil, replace drain plug and take out the fill plug. You can use a oil pump to fill it back if you have one. If no you can use a funnel and small hose. Your tubing should fit loosely in the hole so that air move around it while filling. You can remove the panel behind the seat and drop the oil tubing down to fill the rearend with oil. The manual calls for SAE 30w oil. You can use a heavier weight gear oil for added protection but the manufacturer says 30w it the way to go. 4: Fill the rearend with oil until it starts to run back out of the hole. When you reach that point you are full. 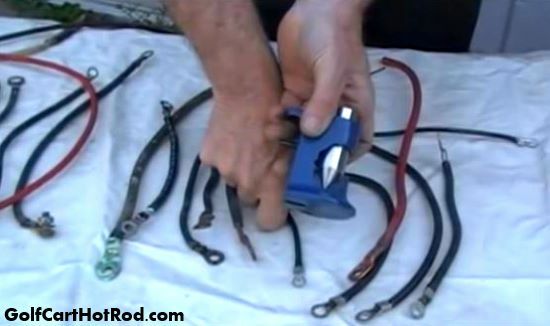 5: Reinstall the filler plug and clean off any oil that leaked around the rearend. Your Done. The manual for my ClubCar golf cart says to use 80-90 wt API Class GL-3 or 80-90 wt AGMA Class 5 EP Gear lube for use in the drive unit and transmission. Bruno: Use the oil type called for in your manual. The 3 different year modles I have owned just happen to use SAE 30w oil. I just bought a 83 club car for 500$. The wheels were locked up until I jacked it up and now they both turn but in different directions?? What the heck is with this? It seems like the spiders or something the rear end is frozen. This cart was in water. Any suggestions. I have a K202 ezgo golf cart, does anyone know if there is a oil filter to change? I only found something about rear axle oil change and nothing about a filter. How to quiet down the whine while accelerating. What do I need to do? Bruno: It is usually warn brushes in your motor. Have the motor rewound. If not that could be worn gears. Change gear oil to see if change. Rebuild the rear end. Bruno: Those thing are almost extinct. Most people just do a custom rewire. Finding parts may be near impossible.